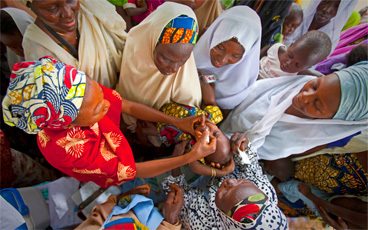 Polio immunization activities are empowering over 200 000 disadvantaged women in Nigeria. Over the years, the Polio Eradication Initiative has been a vehicle for the empowerment of Nigerian women economically and socially. 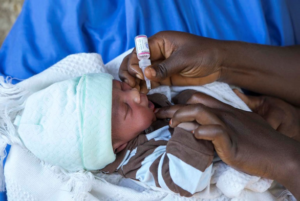 In recent times, this positive development has gained more impact with the timely and direct disbursement of funds for payment of vaccination personnel allowances down to grassroots level. 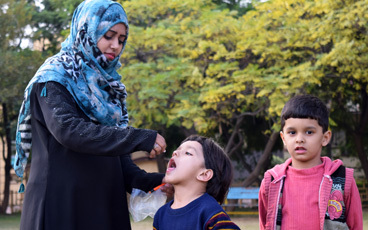 Over 360 000 vaccinators are engaged to support one round of national polio campaigns, and a further 180 000 for a round of sub-national campaigns. Out of these figures, over 80% are in the northern part of Nigeria where 100% of House-to-House teams are females. In addition, 100% of the supervisors are women. Further profiling of personal for all vaccination teams (including fixed post and transit point teams) indicate that 62% of the vaccinators are females. The findings also showed 88% of them have mobile phones for timely alerts and payments. 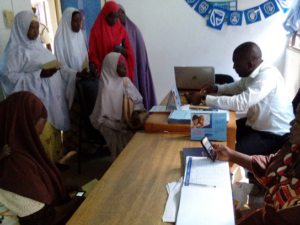 Interestingly, most of the female vaccinators are pooling their mobile money so they can have a bigger amount to kick-start their small-scale income generation projects. “I have been able to successfully establish a business from stipends received from polio campaign and now have a source of income. I acquired a shop, bought machines and fabrics and now, I am the local tailor in my community,” Malama Amina Mohammed, a polio vaccinator team supervisor in Zamfara state mentioned. There is considerable anecdotal evidence from WHO Nigeria Kano, Katsina and Kaduna state field offices that the huge investments by donors and partners have gone beyond polio eradication to impact positively on the lives of women, thereby enhancing equity. Very soon, Ms Gabriel will obtain her Ordinary National Diploma certificate from an accredited Nigerian institution and be gainfully employed even when polio is finally eradicated. Asiya Ibrahim in Dala local government area of Kano is a widow. She has been a vaccinator for over six years. She lost her husband shortly before joining the polio programme. The stipends received has been helpful to sustain and keep her house together, including the upbringing of her children such as schooling, feeding and clothing. 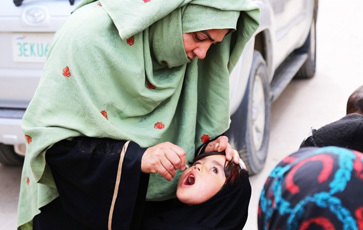 With the frequency of the polio campaigns in the north, stipends received after each round cushioned the effect of losing her husband as she is always engaged in some form of activity. 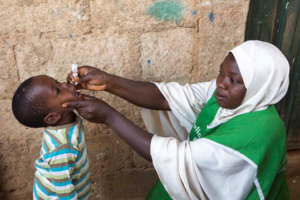 Prior to 2004, operational funds to support SIAs in Nigeria were deposited by partners in a central dedicated account managed by the central government agency responsible for disbursement of the funds to vaccination teams. This mechanism faced a number of challenges including under-payment or non-payment of end-beneficiaries, delays in payment and retirement and inadequate documentation. WHO conducted a risk assessment in 2013 and then established the Direct Disbursement Mechanism; an innovation that is considered a best practice and emulated by wide range of stakeholders. 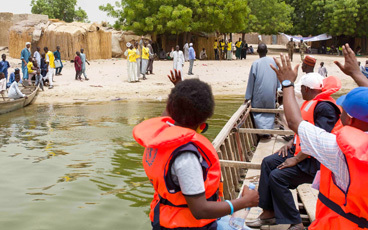 With the innovation, the polio programme has helped to build up lives of vulnerable and economically disadvantaged personnel, especially those of women especially in poverty-stricken villages of northern Nigeria. The allowances after each round of SIAs have made them responsible to their immediate families and environment. While monitoring the February 2017 round of SIAs in Kano, Dr Wondi Alemu, the WHO Country Representative, underscored the important role of female vaccinators who “are doing a marvelous job of fighting polio by negotiating and engaging with parents even when on transit. Without these women, the fight against polio will not be completed in Nigeria. The mothers trust them as they use techniques, including gestures and understandable language to convey much more meaning that easily persuades erstwhile resistant caregivers”. Dr Alemu strongly feels that one lesson learnt from PEI is that the success of any public health intervention in Nigeria, especially in the north, hinge on the active participation of women who have empathy and patience to deal with diverse human emotions. Additionally, through numerous training schedules and other activities organized by WHO and other GPEI partners preceding SIAs round, women’s skills have been empowered. 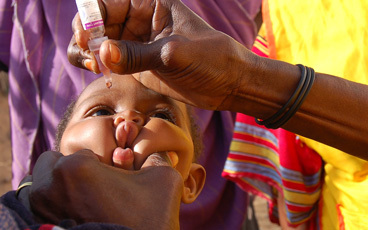 Such skills as interpersonal communications skills, including negotiations have immensely contributed to resolving non-compliance to the oral polio vaccine among difficult to convince populations in northern Nigeria.